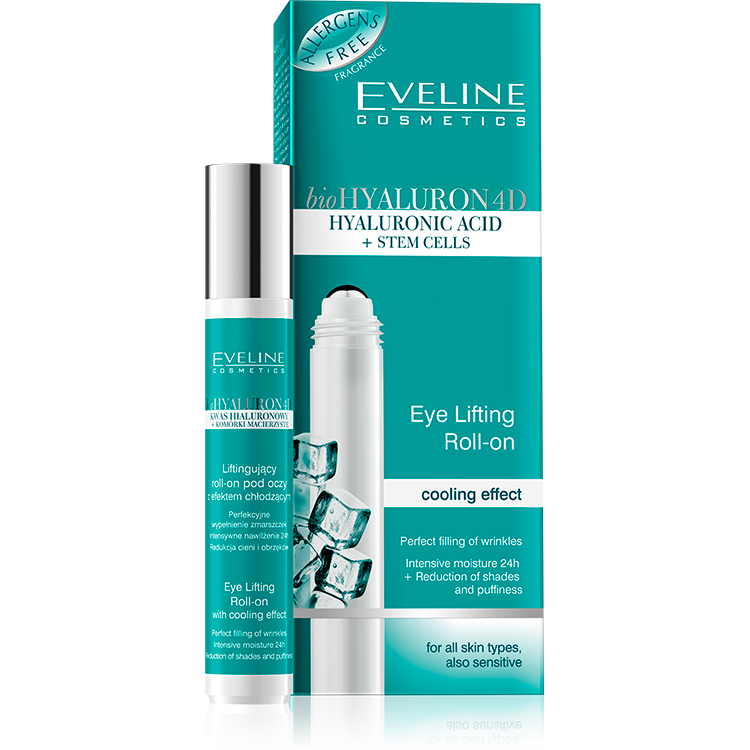 bioHyaluron 4D Eye Lifting Roll-on is the innovative formula with biohyaluronic acid and plant stem cells. Soothes tired eyes and gives immediate effect of refreshment. Stimulates microcirculation, reducing shades and puffiness. Intensively moisturizes, instantly firms and smoothens wrinkles. Reduces laps of time symptoms as well as fatigue, stress and overworking symptoms. Illuminates the skin around eyes, making the look regain radiance. Unique and innovative roll-on with metal ball, enhances gel cooling effect, while delicate and relaxing massage during application effectively supports puffiness reduction. Spectacular reduction of number, length, width and depth of wrinkles. biohyaluronic acid, plant stem cells, caffeine, eyebright herb and horse chestnut extract, Matrixyl 3000™, vitamin E, Laminaria Algae, collagen and elastin, silk extract.